A world-famous singer and actor, a trained lawyer, an early star of American professional football and a polyglot who spoke over a dozen languages: these could be the crowning achievements of a life well-lived. Yet for Paul Robeson the higher calling of social justice led him to abandon both the NFL and Hollywood and become one of the most important political activists of his generation, a crusader for freedom and equality who battled both Jim Crow and Joseph McCarthy. In Paul Robeson, Gerald Horne discovers within Robeson’s remarkable and revolutionary life the story of the twentieth century’s great political struggles: against racism, against colonialism, against poverty—and for international socialism. This critical and searching biography provides an opportunity for readers to comprehend the triumphs and tragedies of the revolutionary progressive movement of which Robeson was not just a part, but perhaps its most resonant symbol. "Historian Horne delivers a fine, taut analysis of the great African American athlete, singer, actor, and political activist, highlighting the theme of the artist as revolutionary. A welcome addition for any library, small or large. Highly recommended." 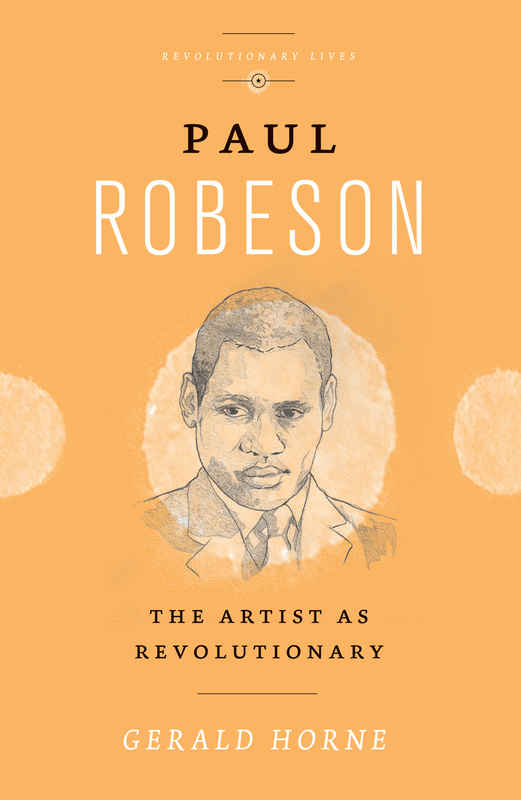 "Horne has made an amazing contribution to African American radical history with the newly published biography Paul Robeson: The Artist as Revolutionary. I devoured [it] in one sitting. In a relatively short book, Horne has captured the essence of Paul Robeson as both a domestic leader for African American equality, as well as an international icon promoting decolonization and socialism on a world stage. I hope a new generation of activists - Black and white - read Horne's insightful book." "An original and powerful biography of Paul Robeson by today’s most productive scholar of African American history: Gerald Horne. Through focusing on his artistry as an actor, global travels, passion for languages, and struggles against U.S. cold warriors, Horne brilliantly brings to life Robeson’s commitment to racial equality, socialism, decolonization, peace, and internationalism. This book would have made Robeson proud." "Horne’s book is fine introduction to the man, his work and more importantly his ideas. The book succinctly charts the evolution of this singular and exemplary Artist, who used his vast talent, intellect and renown to fight for the rights and dignity of the oppressed and exploited of the world. A valuable work that clarifies the distinction between genuine fame and the simple vacuous celebrity obsessions of our time."